Inner human body in comics: Survive! Inside the Human Body series by Gomdori Co. and Hyun-dong Han. 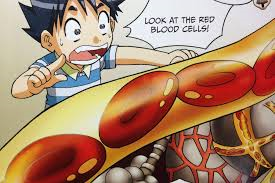 It’s an graphic novel-style adventure story that takes place inside the human body. 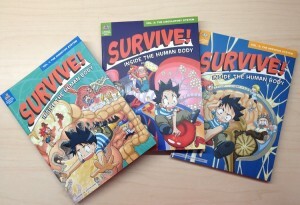 The first volume covers the digestive system, and the sequels go on to cover the circulatory and nervous systems.